Lacoste Touch of Pink is a perfect gift for Christmas and this year I am giving on my lovely readers the chance to win their very own! With notes of Blood Orange, Cardamom, Jasmine and vanilla it is a perfect every day scent that any woman would love to receive this Christmas. The Touch of Pink Woman is above all joyful, full of energy and uplifting with a fresh, fun and feminine attitude to life. To win your very own 90ml perfume all you need to do is be a subscriber and enter your detail below. Giveaway open to the UK only and closes 2nd December at midnight. 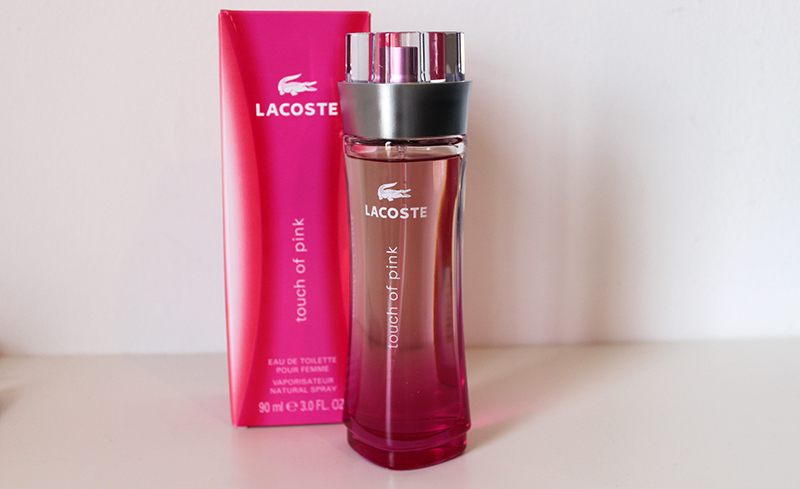 When it comes to perfume I usually like sweet and girly scents so Lacoste Touch of Pink is the type of scent I reach for. It is sweet, fruit and slightly floral perfect for any younger girl you may be buying a perfume for this Christmas! The Fragrance Shop also have it starting at the great price of £24.50 for 30ml but I would recommend the gift set which is only £29.50 and comes with the 50ml EDT, a body lotion, shower gel, toe divider, makeup bag slippers and headband! Have you tried any Lacoste Fragrances?